This morning Wildflower Health, a digital health platform that helps patients navigate benefits and connect to resources, announced that it is acquiring Circle Women’s Health platform, a startup from the Providence St. Joseph Health Systems incubator. The merger is expected to grow Wildflower’s provider base as well as provide the team insight into the clinical space, she said. The Circle Women’s Health platform was created by clinicians at PSJH to give users health information and resources. The platform provides various tools and trackers, and can be integrated into the system’s EHR, according to a statement. "Circle has been key in helping PSJH clinicians provide our patients with a trusted clinical voice from pregnancy through delivery and into pediatrics, and soon on to women's health. The collaboration on Circle between our clinical and digital teams has resulted in a solution that makes our patients' lives easier and our clinicians' work more efficient and rewarding," Dr. Amy Compton-Phillips, executive vice president, chief clinical officer, PSJH, said in a statement. "We're looking forward to continuing the close collaboration we've had in creating Circle with the Wildflower Health team." Wildflower’s platform aims to connect users with existing clinical services and to increase engagement and satisfaction. Sparks was inspired to start Wildflower after she was pregnant with her first child and found navigating health plans overwhelming, according to the website. The company started out by focusing on tools for pregnant women. In fact, one of Wildflowers’s initial offering was called Due Date Plus, which helped pregnant women track their symptoms, monitor key milestones, read health tips, and view their benefits. Since then the company has expanded its platform. In March Wildflower initially closed its Series C funding round with $8 million, but reopened the funding window again after the acquisition the company opened it up again to allow Providence Ventures to join. The company’s total funding now comes to approximately $16 million. Following the acquisition Aaron Martin, executive vice president and chief digital and innovation officer at PSJH and managing partner at Providence Ventures, will join Wildflower’s board of directors. 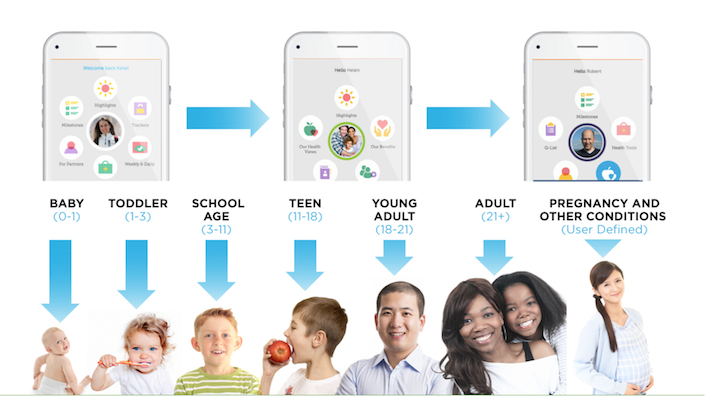 “We are continually seeking new ways to engage more consumers in their health between episodes of care, with the goal of ultimately making our communities healthier through continuous digital engagement," Martin said in a statement. "The combination of Wildflower Health and Circle will result in a comprehensive, personalized solution for family health and will allow PSJH to accelerate our vision of digitally engaging every family we serve."